We offer pharmaceutical carton printing services, which contain glossy, non-glossy, half fold, tri-fold etc. Offered in different colors and standard dimensions, these catalogs are manufactured using superior grade papers and colours to ensure elegance and utility. Our three dedicated manufacturing lines produce over 1 million lined cartons each day to pack a variety of products - tea, spices, ghee, vegetable oils, glucose and toners. 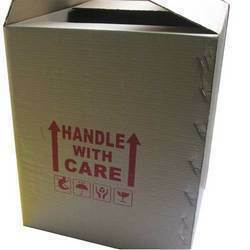 Our experts will be pleased to assist you with your every requirement, whether for cartons or for packing machines. Packaging is a very important marketing strategy to glamorize your product in order to attract the consumer’s attention. Sometimes packaging is so important that it cost more than the product itself in order to lure the consumers to buy it.